By Dr Albert Sanchez-Graells, Reader in Economic Law (University of Bristol Law School). More recently, Bundesdruckerei and RegioPost have furthered the ECJ case law on socially orientated smart procurement and aimed to clarify the limits within which Member States can use it to enforce labour standards. This case law opens up additional possibilities, but it also creates legal uncertainty concerning the interaction of the EU rules on the posting of workers, public procurement and fundamental internal market freedoms. These developments have been magnified by the reform of the EU public procurement rules in 2014. This freshly-released book assesses the limits that the revised EU rules and the more recent ECJ case law impose on socially-orientated smart procurement and, more generally, critically reflects on potential future developments in this area of intersection of several strands of EU economic law. The book includes four contributions by Bristol scholars, including Prof Phil Syrpis‘ perspective from an EU constitutional law standpoint, Prof Tonia Novitz‘s reflections on collective bargaining and social dumping in posting and procurement, Ms Nina Boeger‘s thoughts on public procurement and business for value, and my own views on the competition and State aid implications of the use of procurement to enforce labour standards. The collection of essays includes additional insights by colleagues at Oxford, Cambridge, Turin, Birmingham, Leicester, Warsaw, and the UNCITRAL, and is the result of a conference held at the University of Bristol Law School in May 2016. The papers have been constantly updated and include an assessment of the agreed revision of the Posted Workers Directive in the fall of 2017. 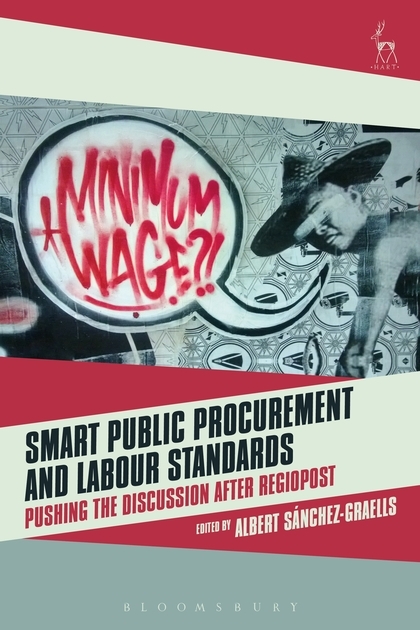 Full details of the book are as follows: A Sanchez-Graells (ed), Smart Public Procurement and Labour Standards–Pushing the Discussion after RegioPost (Hart, 2018).